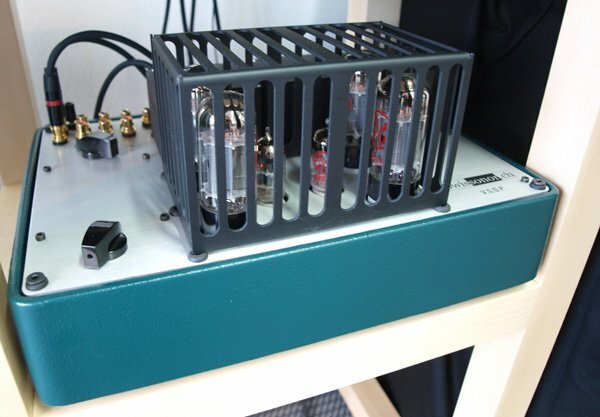 Stuart Smith over at Hifi Pig has "syndicated" his coverage of the High End Show in Munich. Many thanks for letting folks on the wrong side of the pond in on the action! 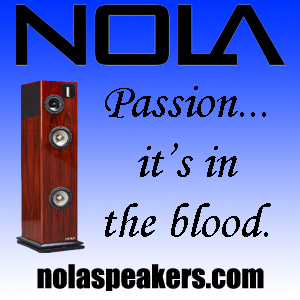 We’ll start this chapter off with a look at the Nola room and their Baby grand Reference Gold loudspeakers. 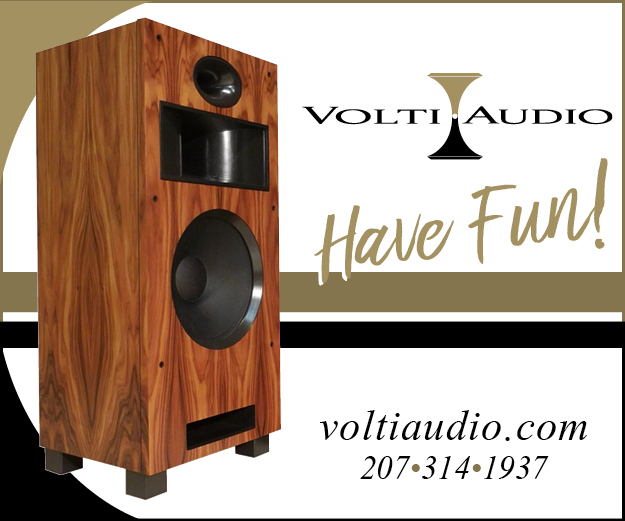 Nola is based in Holbrook in New York and make a wide range of loudspeakers for home audio and for two channel listening. 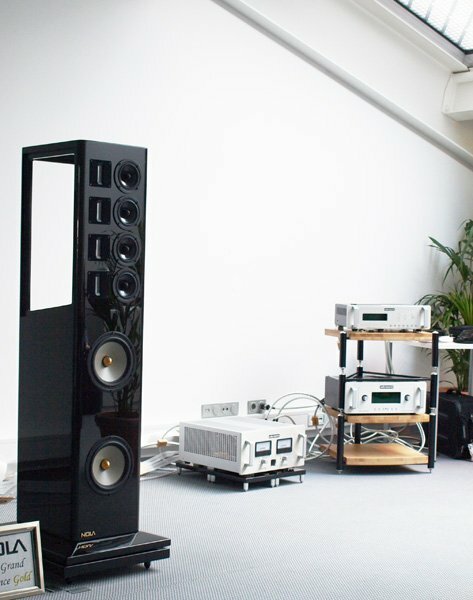 The company’s flagship product is the 2 boxes per side Grand Reference VI but here we were listening to the Baby Grand Reference Gold Loudspeaker. 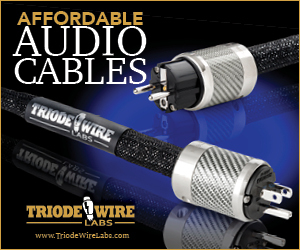 They are handmade and crafted in the USA. When we entered the room there was a guy on the telephone (to someone in Switzerland by the sound of it) and no music so we had to wait a good while for him to finish his conversation before he decided it was time to put on the music. 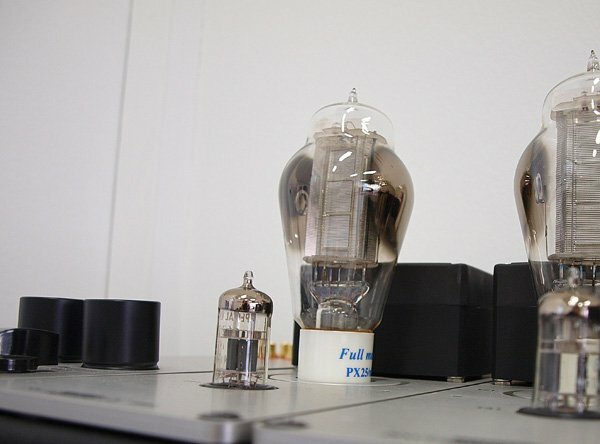 Front end electronics were, as you can see from the photograph, Audio Research. 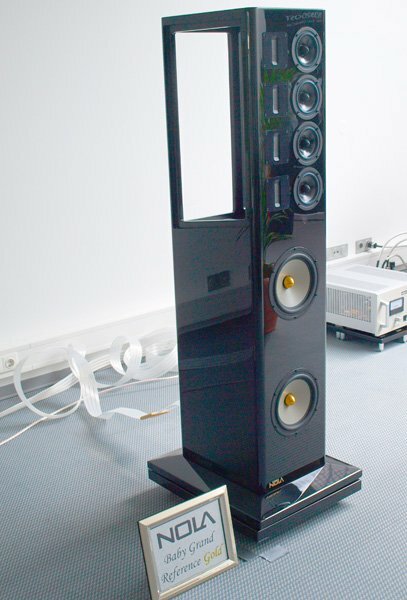 The Baby Grand Reference Gold is an interesting looking loudspeaker. 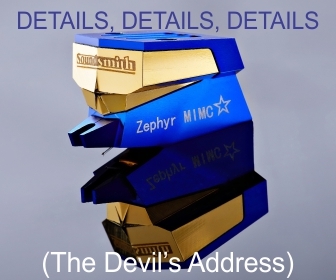 It has two 220 mm magnesium bass transducers which incorporate massive Alnico ring magnets and also incorporate solid copper phase plugs that have been gold-plated. 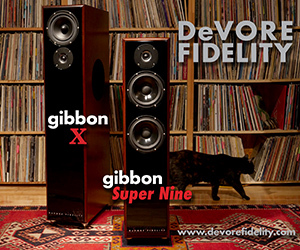 The woofers are housed in a cabinet but the rest of the drivers are open baffle. There are four mid drivers and four ribbon tweeters in the open baffle part of the Baby Grand. 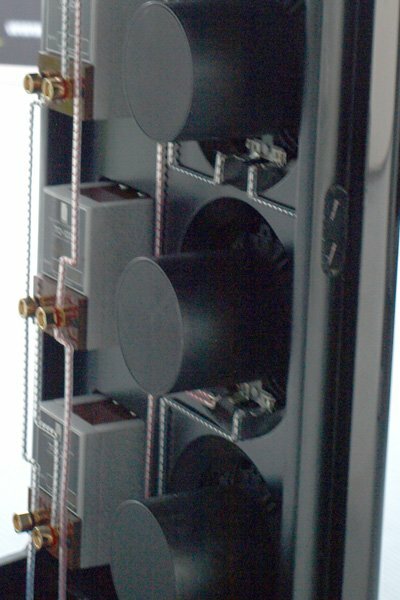 The speakers use a Unison three and a half way crossover using silver/gold/oil polypropylene capacitors hand wired on three crossover boards which are mounted internally. 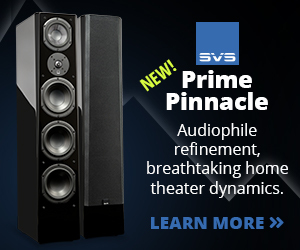 The speakers are 89dB sensitive and cover a claimed 20Hz to 100kHz frequency range. 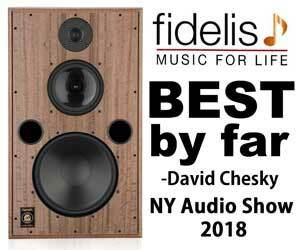 It has to be said that these loudspeakers look exceptionally well made and the finish was superb. They are also quite imposing at 62 inches in height. What did they sound like? Given the guy in the rooms rudeness I really didn’t want to like these loudspeakers but I did…a good deal. 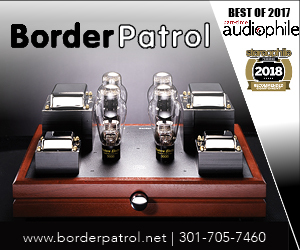 They do very deep and very nicely controlled bass. They also do very nice mids and top end with the characteristic feel that open baffle systems have. 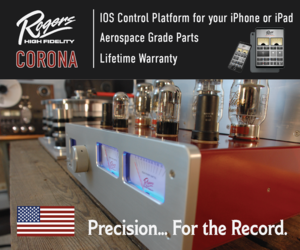 The ribbon tweeters I feel add a great deal to the mix and the upper frequency range has a great feeling of space. Soundstage was very good – deep and wide. I’d love to hear these playing well produced techno! 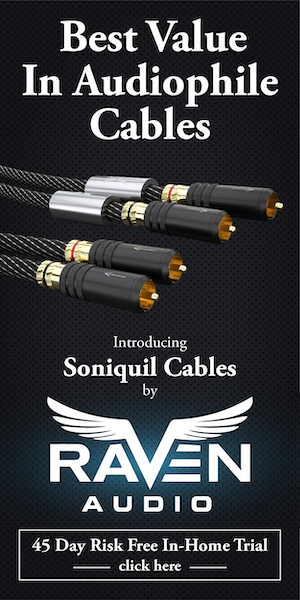 All the Swissonar products are handcrafted in Switzerland and it shows – they look amazing and just exude quality. When we walked into the room the larger of the two speakers were playing. 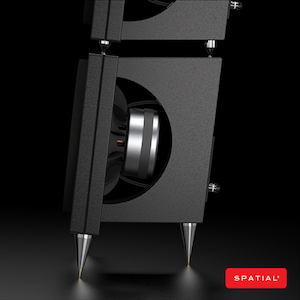 These were the BACH 10 (Bass Adjustable Coplanar Horn) which features a 2 way coaxial and coplanar with Tractrix horn. Sadly these were turned off just as we sat down to listen but we needn’t have worried as they switched to using the smaller BACH 8e. 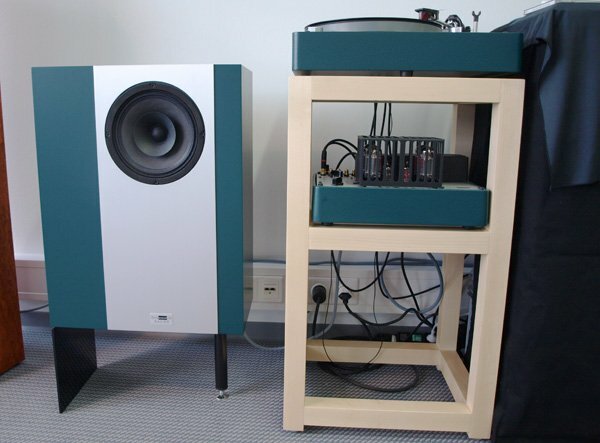 The BACH 8e is an interesting little loudspeaker – it has an eight inch driver with the Bass Adjustable Coplanar Horn, uses Mundorf caps and resistors and is 94dB sensitive. 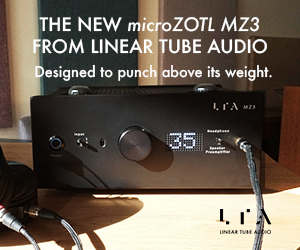 The first thing that strikes you is the bass that comes out of this little unit – it’s taught and tangible and certainly not overblown. 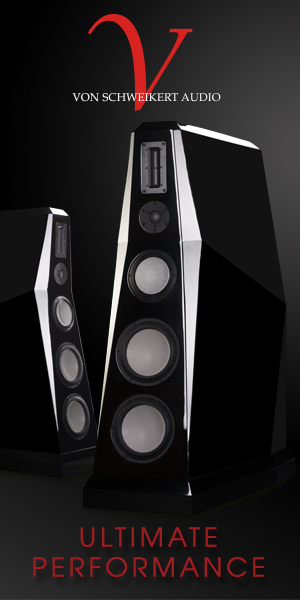 The speakers sit fairly close to the floor bet manage to project great height and presence. I liked these a lot and look forward to hopefully getting a pair for review. 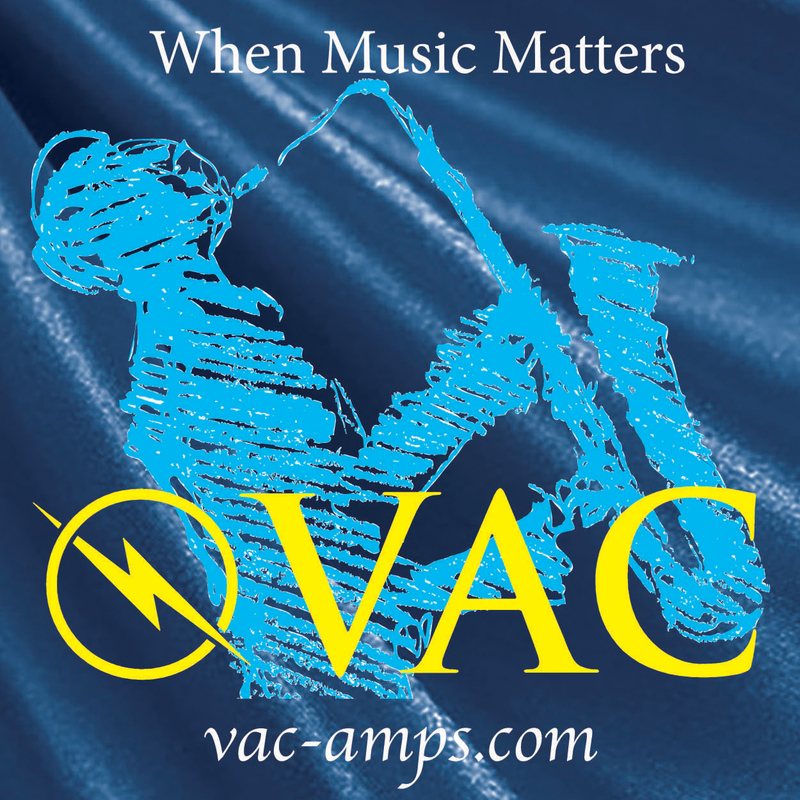 The amp being used was the company’s VSOP (Vaccum State amplifier with Operational Phone preamplifier) which kicks out just 8 Watts at 8Ohms via its four 6V6 output tubes. 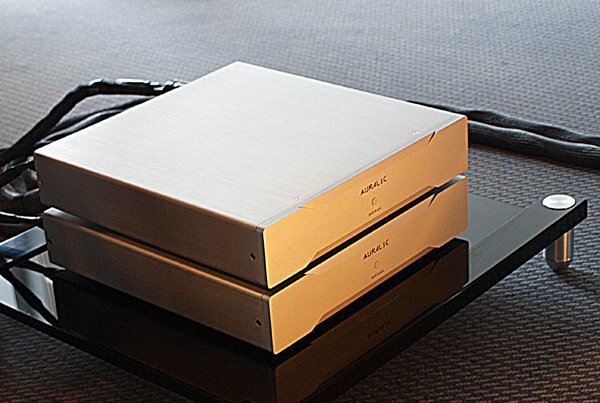 You can actually choose to have fitted the phono preamplifier or DAC. 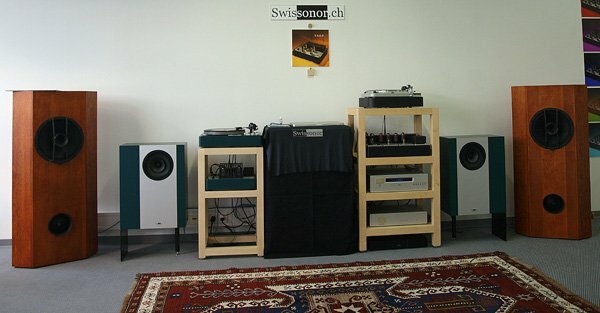 The amp was been fed by a Thorens TD 124 which is breathed on by Swissonor somewhat (new main platter, new upper platter, new tonearm board and the company’s TA10 10” tonearm. 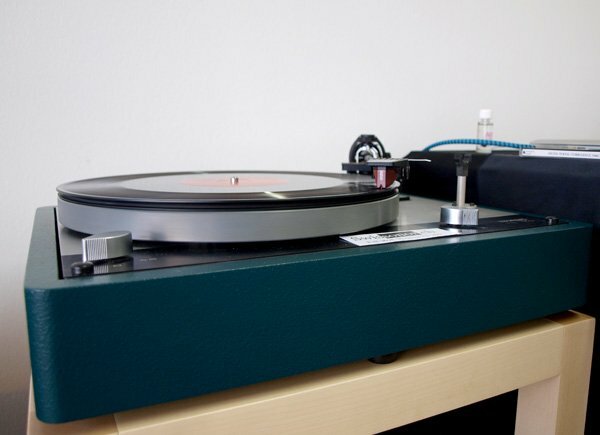 Interstingly the TA10 is actually a new design of the original Thorens TP14 arm. Great sounding kit, very friendly people and the kit looks absolutely gorgeous we stayed in here a bit longer than we really should have. Next came the Auralic room. We stood and chatted to one of the guys looking after the room and he told us that the room had taken two days for them to tune to their liking – it showed. The sound in the room was natural, unforced and very, very musical. 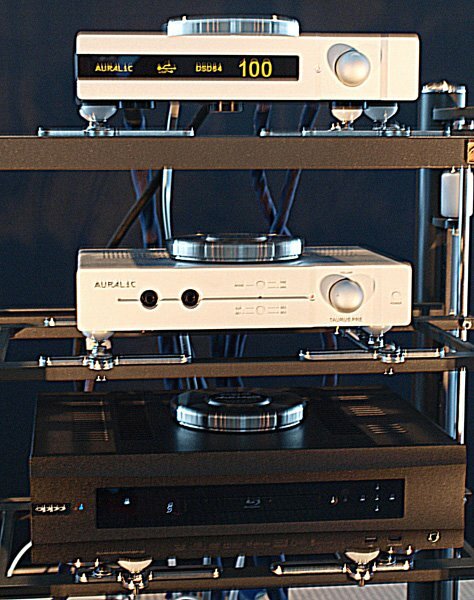 Kit playing when we were in the room was the Taurus preamplifier and the Merak monobloc amplifiers. 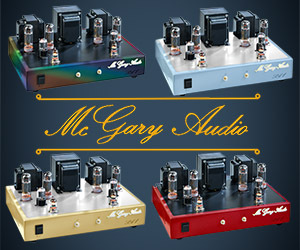 The Merak amps can kick out 400 watts and can deliver 16 amps peak current and yet they are 90% efficient. 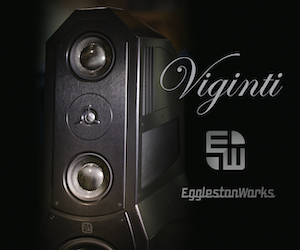 The ‘source’ whilst we were in the room was the company’s Vega digital audio processor fed with a DSD stream. 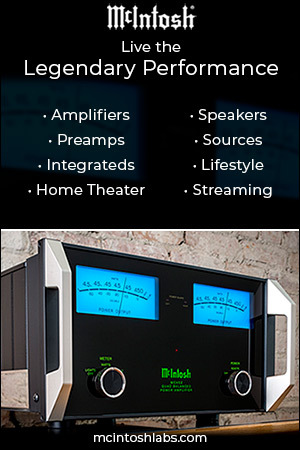 Beautiful understated looking hifi equipment which has clearly been well thought out. I for one look forward to hearing more of their kit! Sorry that I appeard rude, I took one phone call from our Swiss distributor while I was in the room. Glad you got what the speakers do-that puts you at the top of the class. Please introduce yourself at th next show.